Today's run was in horrific conditions. Freezing rain and 28 mph winds. 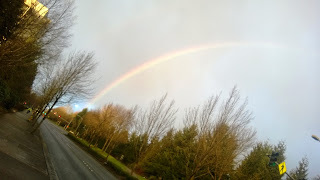 It felt like I was dodging snow pellets and acupuncture needles while running into a brick wall completely drenched. I think the only creatures that were truly enjoying the conditions were the sea gulls. They seemed to be enjoying gliding without any effort. Some of the other birds appeared shell-shocked on the trees. The city is all revved up for the SeaHawks Playoff game today. 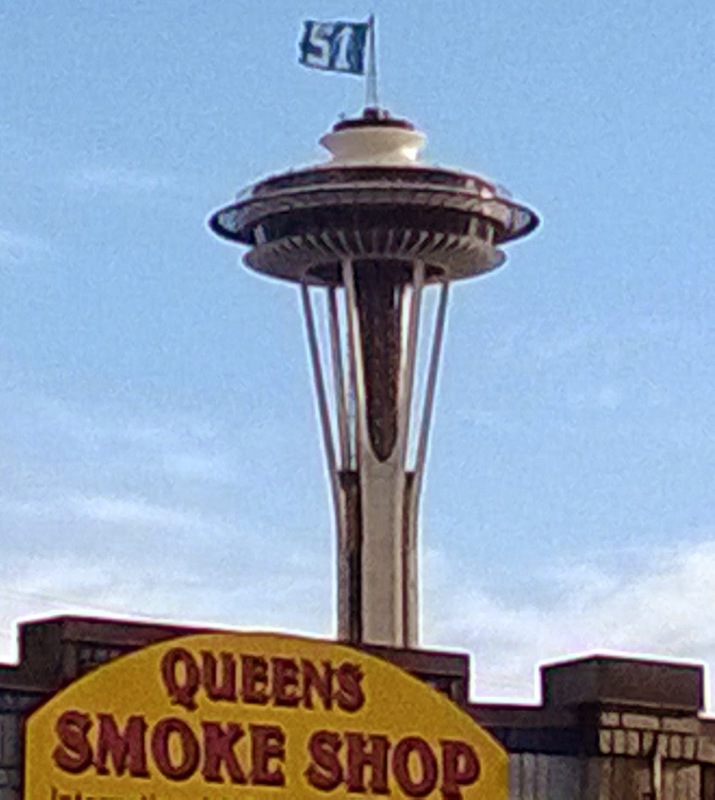 The Space Needle dawns a 12th man flag. I will spare the chances of the Hawks by staying away from the game! This ended up being quite a frenetic and eventful day. I then jumped on one of my most comfortable plane rides, to Miami. I had the whole middle row to lie on while entertaining myself to "The Internship" and then blissful sleep. Oh why did the journey from Lima to Miami only have to last 5 odd hours. In Miami, I got onto my rental car to drive to and from the Florida Keys... What a beautiful drive through the sky blue and turquoise green waters. I finally got to drive across the legendary "7 mile" bridge! Then sleep dear sleep on the most comfortable bed in the world! !